The life of a Rock Star is one wild ride. Traveling city to city playing sold out stadiums to thousands of screaming fans day in and day out – all while making millions. Think you’d like it? Try the lifestyle out for a day in a fabulous and flashy Rock Star costume. Doesn’t matter your favorite musical genre; you’ll find the perfect Rock Star costume to climb the charts in whether you’re into Hip Hop, Heavy Metal, Crossover Country or Pop Rock. Step out on staged dress as the most recognizable singer in the world, Elvis. His most popular Rock Star costume featured a white jumpsuit embellished with gold studs and the design of a Thunderbird. A full, lined cape is included for a dramatic stage presence. You’re sure to get a gaggle of screaming girls in a British Invasion rock star costume inspired by the Beatles. Or, go for heavy metal with long rocker wigs, skinny jeans and ripped up tee-shirts. Add some inflatable guitars for everyone in the band for an air guitar competition. 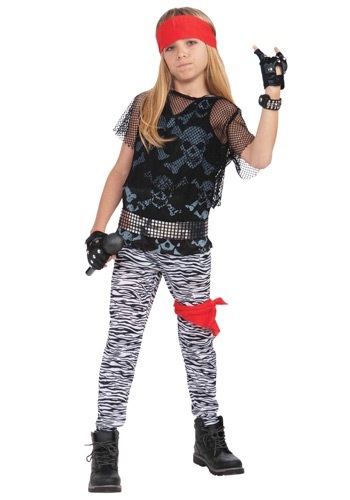 There are also several rock star costumes for those singers more popular with the Teeny Bopper set, such as Hannah Montana and the Jonas Brothers.